These place names can only mean one brand and it is one of The Country Catalogue's favourites - Alan Paine. Alan Paine is based in the heart of the British countryside and continues to utilise British design skills. They are still committed to the original philosophy and high standards of excellence set by William Paine (Alan Paine's father and original founder) in 1907. Alan Paine's rich heritage and traditional values are at the heart of everything they do. As a company they strive to offer beautifully crafted, quality garments. They have designed a range of shooting clothing for men and women which combine performance and comfort through a skilful blend of technical excellence and exquisite styling. The Alan Paine brand formally known as "Paines of Godalming" in 1907 was originally a knitwear brand based in Godalming, Surrey. William Paine was a hobbyist knitter who then went on to develop a very successful knitwear business. Some of the very first cable-knit sweaters ever produced were made by Paine and he sold these to local cricket clubs. In the 1950s, his son Alan Paine took on the business and re-launched it in his name. This was a turning point for the business and marked the beginning of the expansion to the United States. In 2005, it was James Hinton who became the proud of owner having joined the company in 1986. In 2009, Alan Paine launched its exciting Country Collection; an extensive range of stylish classic and contemporary coats, jackets, waistcoats and accessories for both men and women in a variety of stunning fabrics, all offering the characteristic quality associated with Alan Paine. The brand’s aim was to provide a comprehensive country wear product offering at affordable price levels. Here at The Country Catalogue, we stock a large amount of the country and shooting range from Alan Paine for Women, Men and even Children. Alan Paine Rutland is by far The Country Catalogue's most popular collection. For Women, take a look at Alan Paine Rutland Ladies Tweed Coat in Brown. A smart, comfortable, practical and feminine coat ideal for shooting and other outdoor pursuits. The combination of a waterproof and breathable membrane, water repellent outer and soft knitted windbreaker cuffs will help to protect you against the elements in times of inclement weather. For Men, Alan Paine Rutland Tweed Coat in Dark Moss is also ideal for shooting and other outdoor pursuits, matching Alan Paine Rutland Tweed Breeks in Dark Moss are also available whilst stocks last. For those who prefer a waistcoat or require something for mild days, Alan Paine Rutland Tweed Waistcoat in Dark Moss is an item to consider as an alternative to the coat. 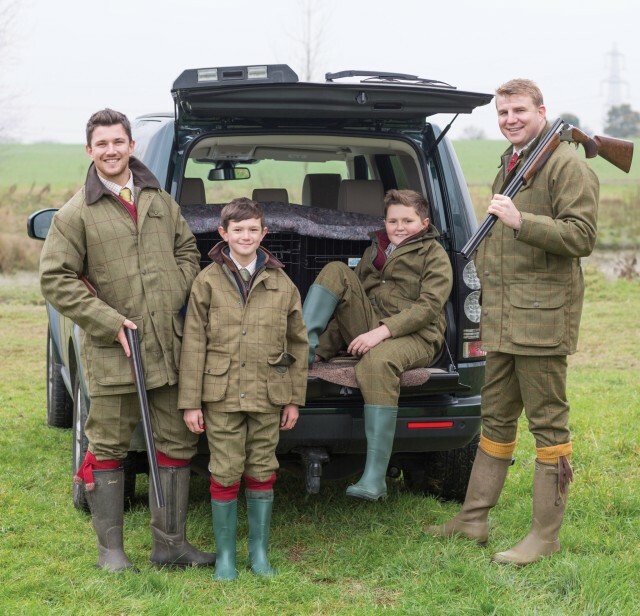 The Country Catalogue prides itself on providing Shooting and Country Clothing for the whole family. We stock Alan Paine Rutland Kids Tweed Breeks in Lichen with co-ordinating Coat, Waistcoat and Tweed Cap. Be sure to dress up your little ones for shooting and beating with The Country Catalogue.